The impact of my first experiences with gaming - Pioneer Project - Enjoying video games a little differently. I was very young when I first played a video game – around two or three years old. It remains one of my oldest memories, one of my first, formative thoughts of the world. Many children my age had favourite toys, or imaginary friends. Things they adored, that came alive with their own unique understanding. As a girl growing up with rapidly emerging technology in the 80s, video games were mine. Games back then required more than a little imagination. Those hazy shapes on the screen that were meant to represent people, or vast buildings, or the tiniest item. Not everything was particularly clear. 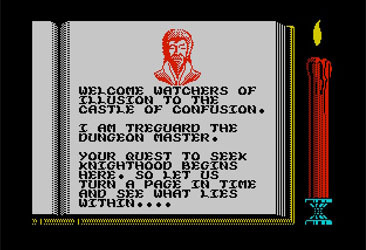 You bought lots of second hand games, you traded games with friends, you didn’t always have the manual or the context for the game you were playing. Picking up a video game then required a little lateral thinking, as few things were obvious. The only thing that was verbatim was the sense to experiment and discover, to share, compare and learn by doing. These old, almost nostalgic gaming traits are the biggest gift that gaming has given me. They are the tools I have carried with me into adulthood. As a child I saw a beautiful magic in gaming, as I got older I wanted to understand how my consoles and computers worked, how they were made. 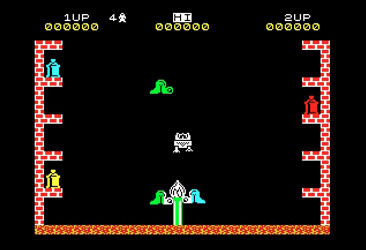 Video games were the first things to ignite a spark of imagination in my very young mind. Many things came after, but it was that first, very powerful feeling that forged me through the years to come. Even back then I remember being enraptured by the interactively gaming posed, the promise of what would only improve and get better. I became even more fascinated when I realised that not everyone shared this view – that my parents and siblings found the process confusing or bewildering. This same galvanising feeling of inspiration protected me each time my love of video games was misunderstood, or each time I failed in a game. Video games did look basic back then, but they were also much more difficult. Both of these concepts developed my youthful patience. I have and always will find it liberating for this reason. 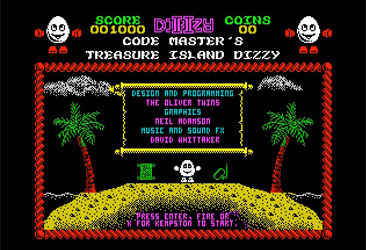 As a child video games were profoundly personal experience, a puzzle, an oddity, a secret. It was always seen in that way by others, but never by me. What’s telling then is how little has changed from my origins with gaming. I face many of the game prejudices from my peers about my decision to play games. Back then this a moral panic about a young child playing games that might be violent or deemed a waste of time. Secondarily I faced criticism for spending time on what was deemed to be very much a male past-time, rather than the more obvious activities expected from my gender. These are still subjects I am grappling to improve awareness and understanding of as an adult. Crucially back then gaming was relegated very much to those young minds who has the patience and energy to bear with this new interactive medium. My parents and other adults complained back then that gaming was too hard for them to understand, the barriers to entry too high. They still use this same argument many years later. Interestingly it was with a young, and open mind that I first turned to gaming. Free from the worries and prejudices of those around me. No one taught me, I found a way because I wanted to. As such I’ll never really understand the argument that gaming is hard, and it really isn’t that much easier for young mind to learn, it was just easier for my younger self to be engaged by video games as a medium rather than terrified by it. I now find myself with the means and knowledge to verbalise that epiphany I had all those years ago. Something new isn’t something to be afraid of, and that certainly applies to video games. So gaming inspired a life-long turn against the tide. The streak of my personality that asked questions. It encouraged a young mind not to rot, but to think more creatively and experiment. Ultimately it was gaming that inspired a life-long love of computing and technology and my career in web development. Gaming helped me to appreciate that it was a hobby every bit as valid as any other way to spend time. A progressive and social medium. It’s not perfect and we certainly have a long way to go as a community, but it’s helped me to develop a way of thinking and adapting to change that few other hobbies could have. Above all though it’s made me happy. Gaming has given me more pleasure and joy than anything else I have tried, and all from a flippant decision all those years ago to try out something society had told my young mind I wasn’t allowed, or wasn’t for me. This post was written for the Critical Distance Blogs of the Round Table. This months theme was origins.